We were commissioned by Drug and Alcohol Strategy to design a collection of posters and radio adverts for a new campaign targeting parents about the dangers of teen drinking. 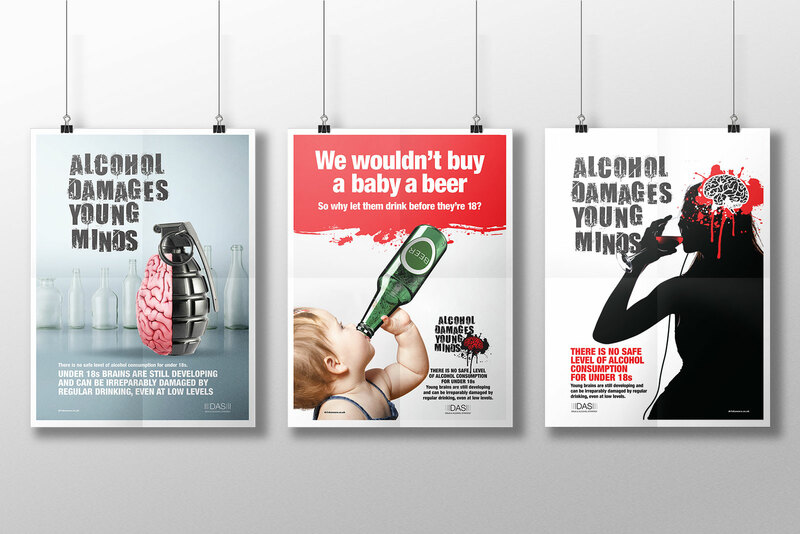 The message is based on scientific research into the effects of alcohol on young, developing brains. The challenge for us was in striking the balance between eye-catching, with a strong, simple message, without making the images too shocking or upsetting.